For those of you keeping an eye on the evolution of Buffalo Trace’s elite brands like George T. Stagg and Van Winkle, you may be interested to know that Stagg Jr isn’t the only line extension to hit the market recently. 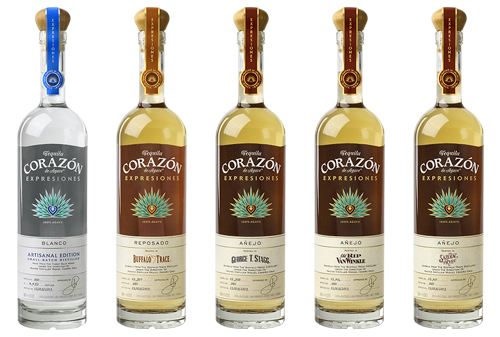 Back in July I wrote about the launch of a new group of tequila’s by the Sazerac Company (owners of Buffalo Trace) called Expresiones del Corazon. The line includes five tequilas: one blanco and the others aged in whiskey barrels. But not just any whiskey barrels… these barrels come from some of Sazerac’s foremost whiskey brands – Van Winkle, George T. Stagg, Sazerac Rye and Buffalo Trace. The entire Expresiones del Corazon line uses this blanco as the base. 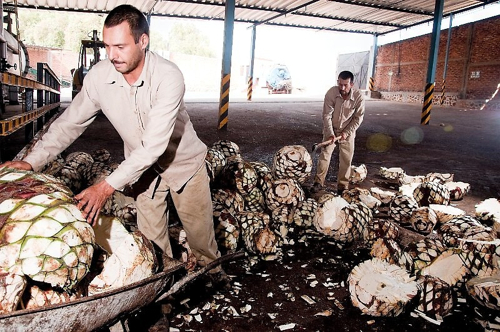 The agave for this tequila was selected in 2010 from two unique locations in Arandas, Jalisco, and was slow-cooked in stone ovens at the historic Casa de San Matias distillery. 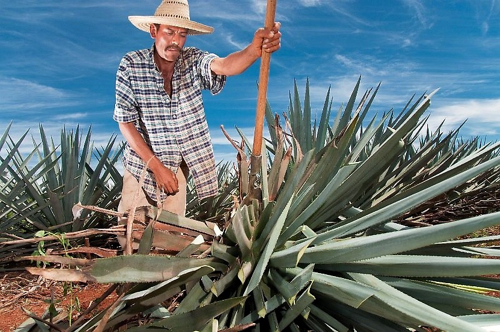 6,000 bottles of the blanco were produced, making it the highest production number of the lot. The nose is spicy with juicy citrus, melon and cooked agave. 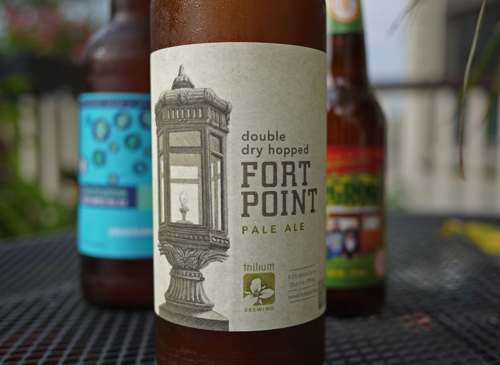 The palate is sweet and a little tangy, with white pepper, herbal notes and lemon lime citrus. There’s lots of dry spice on the finish as well, along with an undercurrent of brininess. Overall, I found this tequila to be more complex and terroir-driven than the standard Corazon expression, but for the $60 price point I’m a little so-so. There are many other blanco tequilas I’m more drawn to, such as Tequila Ocho for about $15 less. 86 Points. That said, the aged releases in this Expresiones line are really what I came for… and I have a feeling the same will be true for most of you whiskey fans out there who are drawn to the line for the specific barrels being used. When it comes to brand excitement, the Van Winkle is going to be the one that most people run too first. And, in this case, that’s actually a good thing because this was my favorite of the bunch (in a close heat with the Saz). The Van Winkle expression is the sweetest on the nose, with cinnamon, ginger and fruit that covers up a lot of the tequila aromas that were present in the blanco. In fact, in a blind tasting I’m not sure I would know this was tequila just from the nose. 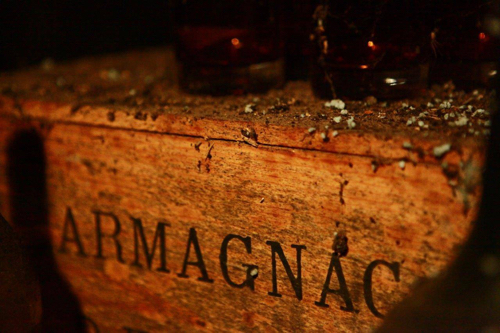 You definitely get hints of Van Winkle here, almost as expressive as the Sazerac. The palate is well balanced between tequila and whiskey – I think the most focused and balanced of the bunch. 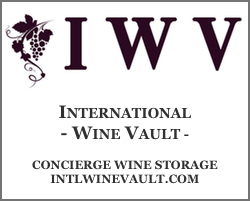 Peppery, vanilla, nutty, woody, and a little vegetal. The finish is dry, sharp and spicy. 89 Points. 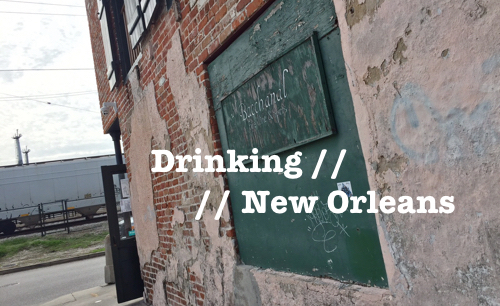 I think this is an exciting endeavor by Sazerac corporation. Taking brands like Van Winkle and Stagg makes tequila exciting for whiskey drinkers who aren’t often apt to try other spirits. 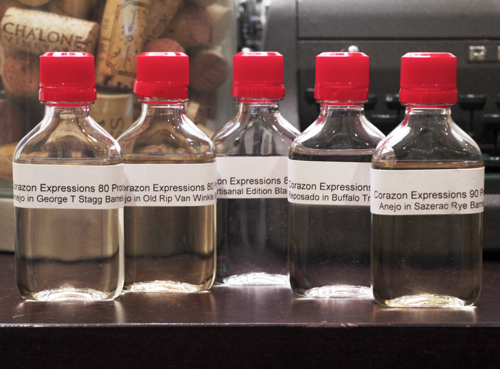 It’s also fun to taste through unique spirits experiments like these. The Van Winkle and Sazerac were my two favorites, but I also thought the Buffalo Trace reposado was an interesting expression as well. The Stagg was a miss for me and as I mentioned above, the blanco didn’t convince me that I should spend $60. But, in all reality, if you’re looking at this series of tequila’s, you’re most likely looking at them because of the barrels they were aged in. For folks like me that love whiskey and tequila, and for die hard Van Winkle and Sazerac fans, I’d recommend seeking these expressions out. As for the others, the price point may be a little too high to justify, unless you’re looking at them from a collection and novelty perspective. At which point I say, go for it… they’re pretty damn cool. **Edit 10/8: Just learned that Massachusetts will be getting a small allocation. Keep your eyes peeled! This finally appeared here in MN last week so I got one of the VW bottles. $85 out the door which is not cheap considering I could find $15 in the couch cushions and get into the always fantastic Don Julio 1942. I’m looking forward to cracking it over the holidays. Thanks for the detailed review. Glad to hear you found a bottle, Larry. The distribution of these products has been really odd. I still haven’t seen them in MA. Hope you enjoy it. I agree, the price was really steep. Perhaps not warranted by the quality of the juice. But, the novelty of it is, undeniably, fascinating.